Read. Discuss. Talk to Travis? We've gotten great response from Sweetgirl Book Clubs and wanted to connect with more readers and provide a few resources here. We've posted discussion questions below and a contact form if you're interested in Travis appearing at your book club to join the fray - either in person or via Skype! ​Questions and Contact Form below! 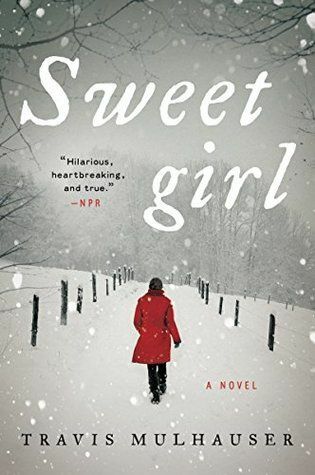 ​How did you feel about the book’s title, Sweetgirl, before and after finishing the novel? ​Much of the novel is told from the perspective of Percy, a teenage girl. How does her relatively young point of view affect what we learn about her surroundings? Did you find her voice convincing? ​How would you describe Percy and Portis’s relationship, and how does it change over the course of the novel? How did getting the third-person perspective of Shelton affect the way you thought about him as a character? What did reading Shelton’s perspective do to humanize him for you? The stark landscape and the blizzard become a driving force throughout the course of the novel. In what ways do the characters’ geographical surroundings inform and shape their choices? The book begins with Percy searching for Carletta—yet when she finds her, she decides to leave her in the trailer in order to keep seeking help for Jenna. What do you think her reasoning was? Would you have done the same? There are many instances of violence throughout the course of the novel. What did these passages tell you about life in this community? Did you feel that they were necessary to the plot, and why or why not? How did you feel about Percy’s change of heart by the end of the novel, and her decision to leave? Do you think Percy would have left had Portis still been around?